Marcus Price, Director, Solicitor and Family Law team leader, gives his thoughts on the decision handed down by the Supreme Court yesterday in the case of Owens (Mrs) v Owens (Mr). Marcus hopes that the judgment will encourage a long overdue revision to the UK’s current divorce law, which he outlines when reviewing the case, and indeed, the Ministry of Justice (@MoJGovUK) tweeted the following response to the judgment: “The current system of divorce creates unnecessary antagonism in an already difficult situation. We are already looking closely at possible reforms to the system.” This seems to suggest that a change in the law can be expected at some point in the future, we shall see. Read on for Marcus’ comprehensive opinion on the case. On 25 July 2018 the Supreme Court handed down its judgment in the case of Mr and Mrs Owens. The bottom line is that the court decided that even though Mrs Owens was absolutely certain that her marriage to Mr Owens was over, she could not at the moment obtain a divorce. That is not in my view a surprising decision, but that is because I am a Family lawyer. My guess is that most people would think that Mrs Owens would be able to get divorced because she was adamant that her marriage was over. After all it takes two to tango. The Supreme Court did not for one moment question whether Mrs Owens was sure her marriage was over. However, even though the court accepted that was the position, it concluded that Mrs Owens could not, under the present law, obtain a divorce at the moment. This may appear to be an odd outcome, but don’t blame the court. The function of the court is to interpret and apply the law of the land, not to change the law. Sometimes the court has to make a decision with reluctance because it does not agree with the law, and the court should not be criticised. The problem rests with the Matrimonial Causes Act 1973 (MCA), not with the Supreme Court 2018. 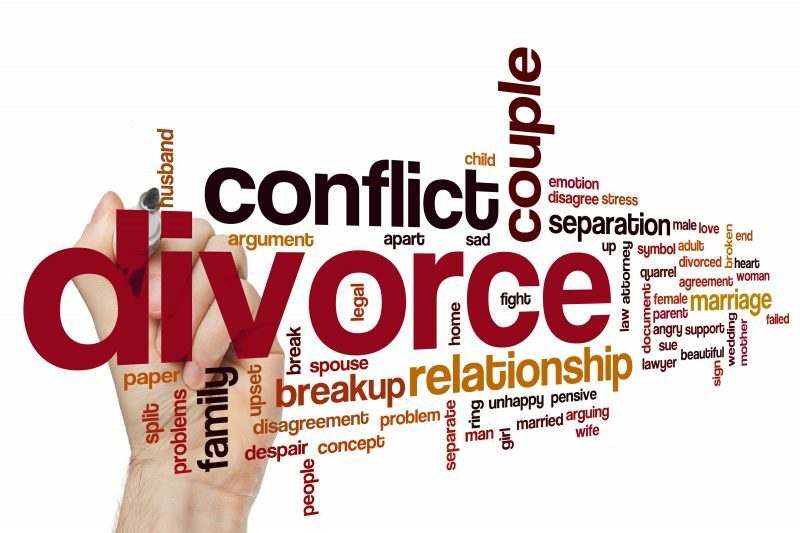 Under the MCA there is just one ground for divorce, which is that the marriage has broken down irretrievably. Simply applying the numerical requirement for a successful tango, it must follow that if one of the two dancers wants to exit the dance floor and sit on their own with a Campari and soda (I am from a bygone and unlamented age), then the dance is over. The reluctant tango-ist can surely not be made to remain on the dance floor? Oh yes she (or he) can. Irretrievable breakdown of a marriage should be a straight forward concept, but it is complicated by the MCA having five stings in the tail which mean that a person who seeks a divorce must go further than saying that the marriage is over. They must prove it by reference to one or more of five facts which are set out in Section 1(2) of the MCA, and that is why Mrs Owens is still married to Mr Owens today. That the other party has committed adultery and the person seeking the divorce finds it intolerable to live with him or her. That the other party has behaved in such a way that the person seeking the divorce cannot reasonably be expected to live with him or her. That the other party has been in desertion for at least two years (a completely daft inclusion). That the parties have lived apart for two years and both agree there should be a divorce. That the parties have lived apart for five years, in which case the agreement of the other party is not required. They married in 1978. They have two adult children. Mrs Owens is 68. Mr Owens is 80. They split up in February 2015 when Mrs Owens moved out of the family home. They have not lived together since. Mr Owens still lives in the family home. Mrs Owens lives next door in a property that they both own. In May 2015 Mrs Owens applied to the court for a divorce based on her husband’s behaviour. The allegations were relatively mild, but nonetheless set out clearly why Mrs Owens felt as she did. Mr Owens, unusually these days, decided to defend the proceedings, largely denying the allegations and in effect suggesting that there was no reason why the marriage should be regarded as having broken down irretrievably. He suggested that Mrs Owens was motivated by her wish to continue her relationship with a man with whom she had had an affair and that that man was exercising an unhelpful influence over Mrs Owens. Mr Owens argued that his behaviour was not such that Mrs Owens could not reasonably be expected to live with him. If she chose not to do so, that was a matter for her, but did not mean she was entitled to a divorce. Because Mr Owens defended the case it was listed for a court hearing. At the end of the hearing the Judge refused to grant a divorce. Although he accepted that the marriage had broken down, he decided that Mrs Owens had not proved that Mr Owens had behaved in such a way that Mrs Owens could not reasonably be expected to live with him. The Judge thought that the allegations were flimsy and exaggerated, or that Mrs Owens was excessively sensitive. Mrs Owens unsuccessfully appealed to the Court of Appeal, which rejected the appeal on 24 March 2017, and then unsuccessfully to the Supreme Court, so for the moment she and Mr Owens remain married to each other and presumably this will continue until February 2020 at which point it may be assumed that Mrs Owens will start again with an application for a divorce based on five years’ separation. With the benefit of hindsight Mrs Owens and her legal representatives might have conducted the case up to and including the first hearing in a rather more assertive fashion. Once the first Judge had made his decision, Mrs Owens had an uphill battle, because the appeal courts will not overturn the initial decision just because they take a different view to that of the first Judge. The appeal courts do not rehear the case. They do not permit new evidence. Their role is to look at what was put in front of the previous, lower, courts and see if any of those courts were plainly wrong in reaching its decision. The Supreme Court took the view that the Judge who dealt with the original hearing had not got the law plainly wrong or misdirected himself as to what Mrs Owens needed to prove in order to obtain a divorce. While expressing unease about having to decide as it did, the Supreme Court took the view that, having regard to what was put in front of him, the decision of the first Judge, as supported by the Court of Appeal, had to stand. That is not to say that had Mrs Owens’ case been conducted rather differently from the outset the conclusion of either the first Judge or one of the appeal courts would not have been different. It is not to say that had any one of the Supreme Court Judges been in the shoes of the original Judge he or she would not have come to a different conclusion. But these “not to says” are not really relevant when it comes to the role of the appeal courts. Your best chance of succeeding is at the first hearing. If you are not successful there, then you face an uphill task to win on appeal. It is not impossible, but it is likely to be difficult unless the first Judge made a complete pig’s ear of the whole thing. It is clear from the Supreme Court judgment that the Judges were troubled that they had to conclude that Mrs Owens must for the moment at least remain married to Mr Owens despite the fact that it appeared clear, although not to Mr Owens, that the marriage was over. Comments were made about various aspects of the conduct of the case up to and including the hearing in front of the first Judge which suggest that possibly the initial decision would have been different if the case had been conducted differently, or that, if the case had been conducted differently but the first Judge had come to the same decision, an appeal might have succeeded. But those are hypotheticals, and the appeal courts cannot make decisions based on hypotheticals. For years Family lawyers have been encouraged to try to minimise the risk of animosity and conflict by encouraging clients to try to keep allegations of behaviour to a fairly low level. In the vast majority of cases the other party does not contest the proceedings so the allegations are not tested and scrutinised in the same way that they would be if the case was defended. However, if you have a law which allows a person to try to achieve the legal dissolution of their marriage by reference to the other party’s conduct, you must give that other party the right to defend themselves and to argue that the marriage should not be dissolved on that basis. It would be an unfair law that did not give the alleged perpetrator of the behaviour the right to challenge the allegations and/or to question whether such behaviour as they admitted to was sufficient to mean that the other party could not reasonably be expected to live with him or her. For some while it has been argued that our divorce law needs to be modified. The five facts have in effect been in place unchanged since 1969. Things have moved on a bit since then, but this particular law has not. A good law must surely have a useful point to it. What possible point is there to a law which requires Mrs Owens to remain married to Mr Owens. He wants to stay married, but she is clear that the relationship is over. Is not the last waltz a more appropriate dance for us to finish on, rather than the tango? The last waltz may on occasions be sad and tinged with memories and regrets. But at the end of the last waltz the music stops, the band unplugs and packs away its instruments and the dancers all leave the floor and make their way home. Some leave together, some separately. Some are happy and looking forward to what they will share in the future. Some will be sad and reflect on a happier past. But nobody will be required to remain on the dance floor. Although the government is a bit busy at the moment, it would be nice to think that the case of Mr and Mrs Owens will encourage a long overdue revision to our divorce law.